The addition of this service alleviates the burden many researchers face of shopping for three separate sequencing related services from multiple providers and efficiently managing the entire process. Providers are now able to better highlight their unique services by listing specific bioinformatic services. 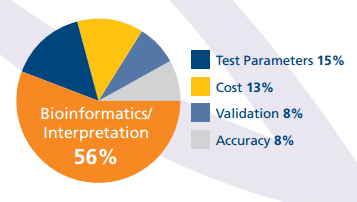 These include basic primary analysis that may be included with every sequencing order, as well as more complex secondary and custom bioinformatics services that can be ordered as add-ons to NGS projects. Researchers will be able to view these services once they select to view details about a sequencing package found when shopping by project or technology. At Genohub we constantly strive to improve the service we offer to the NGS community through the development of new features and functionality. When we launched Genohub in August, 2013 our goal was to launch a service that was useful to researchers and sequencing providers, and continue to enhance and improve our service based directly on feedback from our clients. The bioinformatic analysis listing feature come as a direct result of our development methodology. Researchers asked for a one-stop-shop for all of their sequencing needs, and sequencing providers asked for more ways to highlight and differentiate their services on Genohub. You asked, we listened! Please visit Genohub often as we are constantly adding new useful features to improve the next-gen sequencing shopping experience including upcoming features to further enable providers to differentiate themselves and mitigate risk in decision making for researchers. If you have any feedback on additional features you would like to see, please send us feedback by shooting us an email at info@genohub.com. Other interesting results point to a general data problem with 38% of respondents saying they lack trust in bioinformatics data. 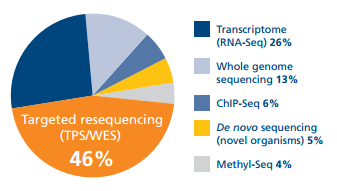 Bioinformatics also leads the field when researchers were asked about the biggest barrier to NGS usage (see below). Undoubtedly this presents an immense opportunity for the bioinformatics sector to increase confidence in data accuracy and interpretation which could have a positive impact on the use of next gen sequencing as a whole. You can find many more interesting survey results on the excellent infographic titled Oxford Gene Technology – NGS Survey 2013.